Chicago, Ill -- The Chicago Tribune is reporting that a new survey says Hispanic Entrepreneurs are conserving their cash and cutting spending in fears of the health care changes, taxes, and federal deficit (someone's got to pay the bill.) The survey conducted by PNC Bank and Latino Decisions is the first of its kind. "Hispanic business owners are taking a conservative approach to managing their business as they hunker down in the current economy," said Jesus Munoz, PNC business banking vice president. PNC, the fifth-biggest bank in Chicago, released the findings as part of Hispanic Heritage Month. Compared with the PNC economic outlook survey of small- and midsize business owners in spring 2012, the survey shows that fewer Hispanic business owners are investing in their businesses with new loans, lines of credit and capital spending than Chicago business owners overall. San Jose, Ca -- The Los Angeles Times has an article that "Mi Pueblo Food Center," which has 21 outlets in the San Francisco Bay area, was forced to use E-Verify by immigration officials. Even though the company were critical of the program, they allege DHS officials pressured the company to use it. The adoption of the program has angered employees and customers alike. "He says he (company founder Juvenal Chavez, an immigrant) has suffered the pain of being an immigrant. I don't believe it," said Rogelio Marquez, 37, who said he was laid off from the Gilroy store after becoming active with a workers union. "We support the economy of this country. Why is this man now checking papers?" Now Mi Pueblo is facing boycotts from the very communities they serve. DHS denies forcing Mi Pueblo to use E-Verify. Washington D.C. -- The United States Hispanic Chamber of Commerce announced the election of two future Chairmen of the Board of Directors, who will serve consecutively after the term of incoming Chairman Marc Rodriguez ends in 2014. Ignacio R. Veloz was elected to serve from 2014-2015, and Raymond J. Arroyo to follow from 2015-2016. Veloz is President of Inmobiliaria Nuestro Servicio, Inc., a company dedicated to administering and maintaining condominiums and commercial properties and is also the president of the United Retailers Association of Puerto Rico (CUD). Arroyo is the head of Alternative Distribution at Aetna, where he is responsible for membership growth. He is the former Chief Diversity Officer at Aetna. New York, NY -- No shocker here as a study by the National Hispanic Media Coalition finds that Fox News audiences are more likely to have a negative or misinformed opinion about Latinos and immigrants. The study, conducted in conjunction with Latino Decisions found that Fox News audiences are "more likely to agree that Latinos are on welfare (56%), take jobs from Americans (43%) and have too many children (42%)." To see the study results, click found . This is a no "shocker" statement. Washington D.C. -- Not to be out done by the President, the Republican National Committee (RNC) also released a statement recognizing Hispanic Heritage Month. No question, Latinos are the focus of attention. 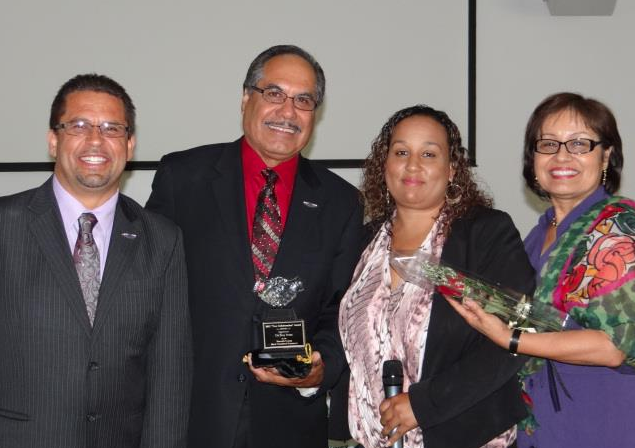 Riverside, Ca -- Immediate Past Chairman of the California Hispanic Chambers of Commerce Roy M. Perez continues to receive accolades and recognitions for his continued advocacy for businesses. On September 6, 2012, Perez was recognized by the Riverside Black Chamber of Commerce with the "2012 True Collaboration Award." Perez, whose small business advocacy has earned him awards from the California American GI Forum, the Latina Business Women's Association of San Diego, and numerous California Hispanic Chambers of Commerce. "I want to thank the Riverside County Black Chamber of Commerce, especially Christy Lancaster for her kind words," said Perez in accepting the award. "I'm proud to have been a part of the collaborative leadership that has turned the region's economy around." Perez is CEO of RMP Strategies, a small business advocacy company. Austin, Tx -- Q Communications Group is a Latina PR firm that was featured in the Austin American-Statesman newspaper as a part of their new business column. 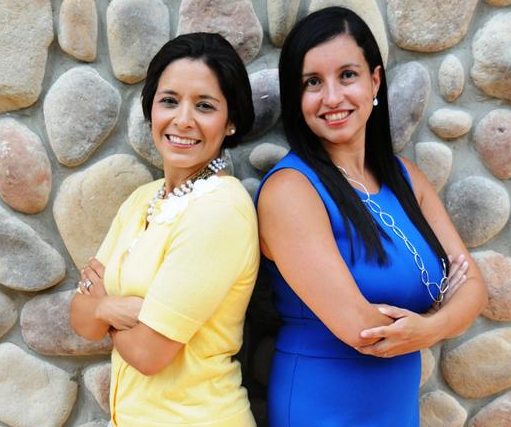 Established by Gretel Perera and Leslie Leal-Gauna, the firm offers services to businesses trying to reach the Latino market, first locally, then nationally. In addition, they are partnering with general market agencies to maximize capacity. "We offer something that is pretty unique in the marketplace: communications with a little spice," says Perera. "Our public relations agency is led by two Latina PR and marketing professionals that have a personal insight, knowledge and appreciation of the Latino market. One of our goals is to partner with general market agencies and Hispanic advertising companies in order to provide the Hispanic public relations arm of a campaign. Together, we can help companies and organizations reach their target audience through a concerted communications effort." Pasadena, Ca -- The 2012 NCLR ALMA Awards will be broadcast on NBC Television Network on Friday, Sept. 21, 2012 (8-9 p.m. ET). The show, a star studded special kicking off Hispanic Heritage Month, will once again be co-hosted by Eva Longoria and George Lopez. Five-time Grammy Award winner Christina Aguilera (NBC’s “The Voice”) will receive the 2012 NCLR Special Achievement Award, noted for her incredible career and exceptional work in philanthropy. Over her career, Aguilera has been nominated for ten ALMA Awards and has taken home three ALMAS. The ALMA Awards is hosted by the National Council of La Raza. Washington D.C. -- Who says government isn't sensitive to its people, unless your the Environmental Protection Agency, which wins our "Blunder of the Week" award for its insensitive effort in promoting Hispanic Heritage Month. In an email, the environmentally conscious demonstrated its unconscious sensitivity to Latinos by using a plagiarized picture of Che Guevara (yes, a promoter of communism). Hispanic news you can use! Hispanic Heritage Month begins on September 15, the anniversary of independence for five Latin American countries—Costa Rica, El Salvador, Guatemala, Honduras, and Nicaragua. In addition, Mexico declared its independence on September 16, and Chile on September 18. Over the past decades, the Hispanic population in the USA has shown tremendous rise. For the uninitiated, Hispanics are people who have origins related to the country Spain. In the recent years, the term Hispanics is also used to categorize a larger group of population in the US who originally belonged to the nations ruled by Spain. Being Latino doesn't mean we can relate to just any image of Latinos.